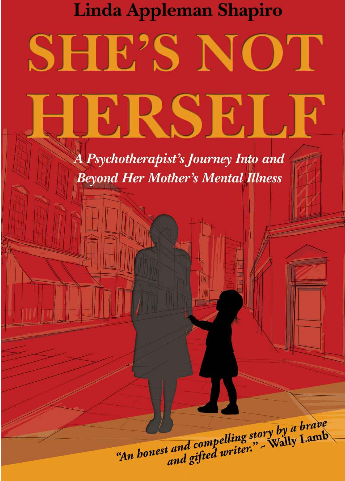 I'm always pleased to hear of a fellow indie/small press author's success, and I'm even more pleased to share that one of my previous guest author's has achieved some recognition for her work. 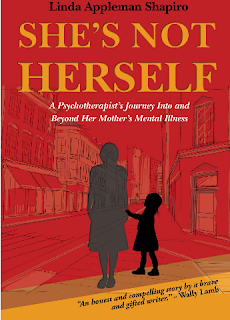 Two years ago, Linda Appleman Shapiro wrote this guest post to promote her memoir, She's Not Herself, published by Dream of Things. It has since received a great deal of attention from professional book reviewers and the reading public. -Wally Lamb, NY Times best-selling author of She’s Come Undone, I Know This Much Is True and many other novels. Winner of the National Alliance for the Mentally Ill’s Kenneth Johnson Award for the anti-stigmatization of mental illness. Congratulations, Linda, and best wishes for continued success! Thanks so much, Lauren. You're both generous and kind in helping to promote authors.